The novel was published in 1983, and Allen Hibbard came to know it in the early 1990s, when he was teaching at the University of Damascus on a Fullbright. That’s when he met Osama Esber. However, the project didn’t go forward quickly, Hibbard said. After he left Syria the two found it difficult to collaborate across distances. Then, in 2000, there was a major event in the life of Banquet for Seaweed, which Max Rodenbeck wrote about extensively in the NYRB: It was on the wrong journalist’s bookshelf at the wrong time; he misrepresented the book. 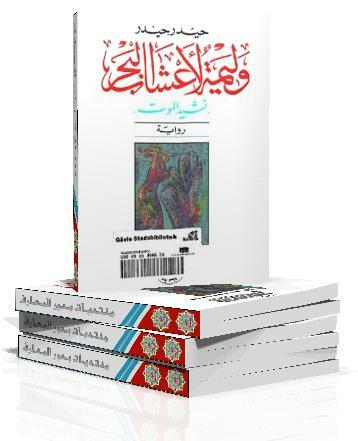 Protests against the publication of the book ensued, and the government both arrested the protesters and charged the Ministry of Culture officials who’d been part of reprinting the book, yanked copies from shelves, and questioned novelist Ibrahim Aslan for eight hours for his role in recommending that the book be reprinted. In August of 2012, Esber made the difficult decision to leave his Dar Bidayat publishing house, his home, and relocate with his family to Chicago. This leant both new possibilities and a new urgency to the project; an excerpt of the work is now up at Interlitq, and they hope to be finished by the end of the year. it’s not advised really, I hated it.